Species of Botryosphaeria attack and infect stressed plants. Cankers can be annual as well as perennial. This pathogen attacks mostly woody trees and shrubs around the world (more than 100 genera of plants can be affected by this disease). Botryosphaeria spp. in general cause cankers that girdle infected branches and stems. The girdling causes foliage to wilt turn brown and die. 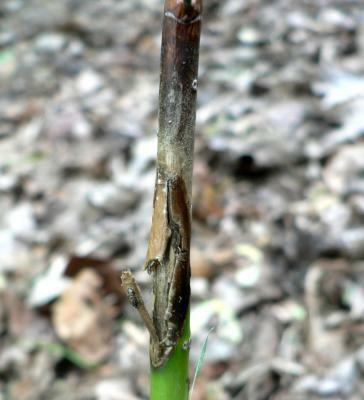 All plant tissue, from the girdling canker out to the tip, eventually dies. Varies with the species of Botryosphaeria and the host plant. The pathogen cannot usually attack healthy plants. Control by pruning out the dead and dying tissue, fertilize correctly, and improve growing conditions.